It is a fun thought experiment to imagine what G. K. Chesterton would have said about the Iraq War of 2003. John was right to note that Chesterton was no kind of pacifist. After all, he wrote a poem commemorating the Battle of Lepanto. However, he also had a fierce love of the small and local, and a great distaste for the grandiose and puffed up. Thus, he loved England, and wasn't overly fond of the British Empire. Chesterton was a supporter of the Great War, even though his younger brother Cecil was among its casualties. At this remote distance, that war seems like it was a really, really bad idea. On the other hand, he was also a fierce critic of the Boer War, which was a nasty little imperial war that richly deserved skewering. Ultimately, I'm not sure I know what Chesterton might have thought. I do think that Chesterton would have shared John's horror of chaos and anarchy. And like John, I think Mad Max is becoming the future we are more likely to face than 1984. [H. G. Wells] defends the only sort of war I thoroughly despise, the bullying of small states for their oil or gold; and he despises the only sort of war that I really defend, a war of civilizations and religions, to determine the moral destiny of mankind. If Chesterton were alive today, he would have opposed the war in Iraq if he thought that it was primarily about oil. That was much the reason he opposed the Boer War, which really was chiefly about gaining complete control of southern Africa's gold and diamonds. If he were convinced that the Iraq campaign were part of a larger war against Islamicism, he would certainly have supported it. He would also have relished the way the war outraged the world's progressives. In his view, there "is only a thin sheet of paper between" internationalists and imperialists. If [the householder] had gone out to purify the world by shooting all possible burglars, it would not have been a defensive war. And it would not have been a defensible one. There is no satisfaction in arguing with the dead: the silliest title in my library is A Challenge to C.S. Lewis, written more than a decade after Lewis died. Still, I might say to Chesterton's shade that he was right, but his example is beside the point. For the most part, the burglars in other people's gardens are no concern of the private householder. On the other hand, when you pay taxes to support a police force, you are in effect waging war against all possible burglars. Also, some societies have legal systems that rely on the self-organization of citizens. Ancient Iceland worked like that; so does the international system today. It is possible to be responsible for other people's burglars. The question is: who is the legitimate authority? But I am far from certain that a War to End War would have been just. I am far from certain that, even if anybody could prevent all protest or defiance under arms, offered by anybody anywhere under any provocation, it would not be an exceedingly wicked thing to do. Anyone who has read H. G. Wells's Things to Come (1933) knows exactly the wickedness that Chesterton had in mind. That book is essentially a retelling of The War of the Worlds, except that the conquerors are armed Fabians, and their victory is complete, permanent, and, in Wells's view, the best possible outcome. The problem with Chesterton's objection is that it is not an objection to world government, but to government. Possibly because of the period in which I grew up, anarchy has to me to be the greater danger. When I was a small child, too young to read 1984, the H. G. Wells world of totalitarian regimentation no doubt seemed a pressing danger. By the time the year 1984 arrived, however, the real danger seemed to be the world of Mad Max. It still does. 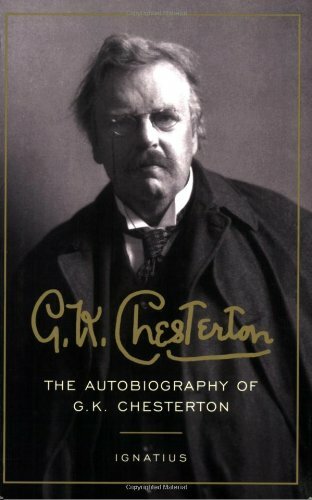 A final note about Chesterton: For someone who did not purport to be a systematic thinker, GKC actually did a pretty good job of not contradicting himself. Nonetheless, he rarely expressed his basic insights in sustained argument. He would have been outraged at the comparison, no doubt, but his style was really not so different from Nietzsche's: heavy on the aphorisms and paradoxes, short on theory. Nietzsche favored aphorisms because he was skeptical about the thought itself. Chesterton, in contrast, was a sort of Thomist: he was ideologically committed to the principle that abstract formulas can embody reality. His reluctance to make sustained theoretical argument seems to have grown out of his attachment to the particular, the local, the personal. One of the advantages to Thomism is that it provides assurance that the finite can indeed reflect the infinite. While using techniques of magic and mythical creatures, Christian fantasy writers like Lewis and Tolkien develop their imaginary worlds within their own personal commitment to orthodox Christian belief in a sovereign God. Rowling does not share that commitment. Although she denies any personal belief in the magic her books portray, she still tells her readers, "It’s important to remember that we all have magic inside of us." Unlike these Christian fantasies, Harry Potter is a post-Christian creation set within an occult cosmology. And his phenomenal popularity among young and old signals where our western culture seems to be headed. This is very similar to the point about the the resilience of the "Perennial Philosophy" that I raised some years ago in a review of Robertson Davies' book, The Cunning Man. In fact, back in 1986, Owen Thomas suggested in Christianity Today that the real competitor for Christianity in the West was never Marxism or materialism, but a sort of neoplatonism. Was Quidditch all it took to get Plotinus to the best-seller slot on Amazon? One of the things I appreciate John for to this day is explaining exactly why children's literature like J. K. Rowling's Harry Potter series really are pretty harmless, in comparison to actual ritual magic. John also had enough empathy to understand why well-meaning parents might be anxious. In interviews, town-hall meetings and television appearances, several Democrats -- who had been sharply divided over whether to go to war -- declared that Mr. Bush's credibility had been harmed because of his use of unsubstantiated evidence in supporting the invasion of Iraq. "When the president's own statements are called into question," Senator John Edwards said, "it's a very serious matter." No doubt that's true, but the question is: serious for whom? It's possible that I misunderstand the situation, but the Democrat's use of the missing-WMDs as a political issue conjures up an image of a June bug about to have a decisive encounter with a car's windshield. We know there was early intelligence that some of the evidence about African uranium was forged. However, the British secret services are sticking to the substance of the story. They know about the forgeries, too, as well as about the desultory efforts by the State Department to investigate the question. They are audibly unimpressed. On the general issue of WMDs, reports began to appear two weeks ago, like this comment from Senator Pat Roberts, to the effect that, yes, hard evidence of weapons programs had indeed been discovered. The Administration is just being cautious about verifying it. Even then, could the Administration be cynical enough to sit on the information until publication will have the maximum political effect? Perish the thought. Perhaps the credibility issue could be revived with the narrow argument that George Bush and Tony Blair gave their publics the impression that Iraq had large, existing stocks of WMDs, not just the ability to produce them. However, this would lead to awkward interviews, in which presidential candidates would have to explain why a secret, illegal weapons-industry is less threatening than the weapons themselves. We can expect more discussion of a Medicare drug-benefit, I suspect. What I hated about it was what a good many people liked about it. It was such a very cheerful war. I hated its confidence, its congratulatory anticipations, its optimism of the Stock Exchange. I hated its vile assurance of victory. It was regarded by many as an automatic process like the operation of a natural law; and I have always hated that sort of heathen notion of natural law. I think I can say that I never assumed that victory in Iraq was inevitable, but I am reasonably sure that the larger historical process is inevitable. In fact, I have spent the last year or two trying to get clear in my mind why that process need not be a tragedy. (Let me thank those who have been buying The Perfection of the West, by the way.) The fact is that the kind of "natural law" which Chesterton hated rather appeals to me. Does that make me a bad guy in the Chestertonian universe? It was the secularists who drove me to theological ethics, by themselves destroying any sane or rational possibility of secular ethics. I might have been a secularist, so long as it meant that I could be merely responsible to secular society. It was the Determinist who told me, at the top of his lungs, that I could not be responsible at all. Other evils there are that may come; for Sauron is himself but a servant or emissary. 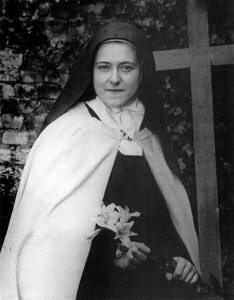 Yet it is not our part to master all the tides of the world, but to do what is in us for the succour of these years wherein we are set, uprooting evil in the fields we know, so that those who live after may have clean earth to till. What weather they shall have is not ours to rule. Now that's a foreign policy for you. The New York Times Book Review has given better few notices than the long, adulatory piece it ran yesterday for Harry Potter and the Order of the Phoenix. Frankly, the Potter series is not among those I make a point of keeping up with, but that review by John Leonard made me want to rush out and pry this installment from the hands of a small, protesting child; but I restrained myself. Rowling's specialized, somehow domesticated magic, like the whereabouts clock, or the mail-delivering owls, or subjects who abandon their own painted portraits to visit or hide in other people's picture frames, or wizard wands with unicorn hairs and phoenix feathers and dragon heartstrings, or staircases that decide to go up to somewhere else on different days of the week, or getting around by portkey and Floo Powder, or a ''pensieve'' into which to deposit those thoughts and feelings and memories we'd rather not carry around in our heads right now, or the whole idea of Quidditch. This isn't magic, though maybe it is magic realism. Real magic, to the extent there is such a thing, looks like this. The Potter books do not promote witchcraft, but that is no reason to characterize anxious parents as "Leviticus-reading fruitcakes."